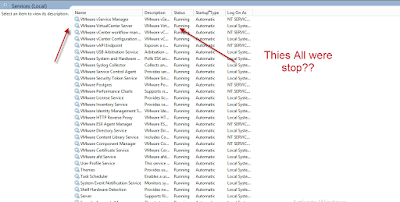 All VMware vCenter related services were not starting after VMware tools installation. Today I found strange problem with VMware vCenter. the VMware vCenter installtion. 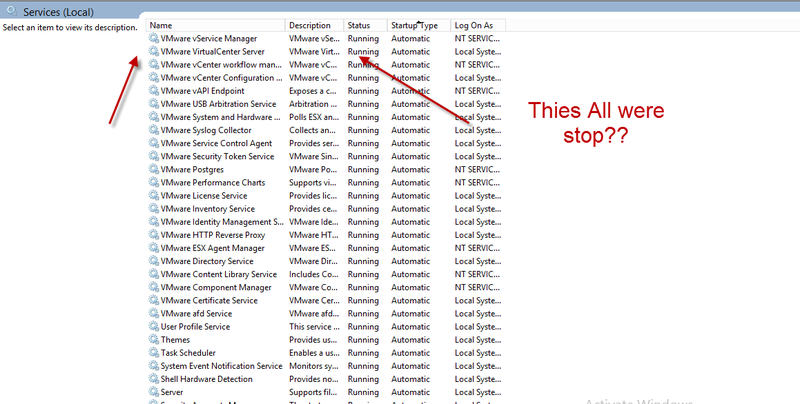 After finish vCenter instllation I found that VMware tools are missing. I Added one host to cluster & began with Vmware tools installation. i found non of the Vmware service is running, I tried all of them mnaually. I cheecked the dependuncey even registorey. I searched all event logs but nothing I found related the issue. I even rebooted system twice and also left the system ideal for 12 hrs but still the same. No Vmware vCenter Service is running. I came accross with this problme only after installation of VMware tools and fresh Reboot, I decided to remove Vmware tools and rebooted the server. And Wallaaaaa Server is Up with all services running. I was shocked with this result but I was happy to see server is up and working fine. I am still running my lab vCenter without tools. I am working with VMware to find the root cause. Hope you may resolve your prblem with this same.